A few years ago, I was at work fussing about how all my extra long extension cords (50' or more) were getting all tangled up together and how it would take me forever to get a job started because of all of the time it took to untangle. Well one of my buddies said why don't you make a "Cord Bucket"? I said "whats that", so he explained how to do it and I came home and went to town making them and haven't had a bit of tangle ever since. So what will you need to get the simple project started? 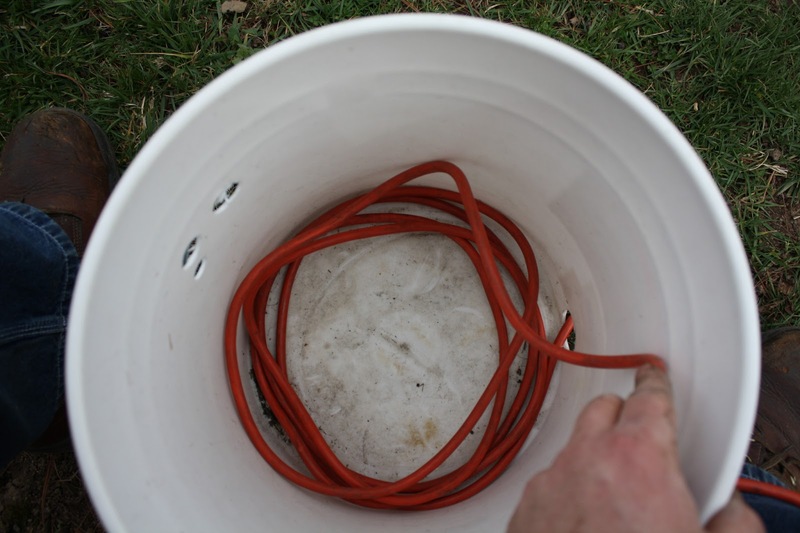 1) A 5 gallon bucket as I used or a plastic container that you can store a single cord in. 2) A drill and a hole saw big enough to get your plug through. 3) Your tangled extension cord. Start by untangling your cord, of course and lay it in the hot sun. Laying it in the sun will make it more flexible and easier to wind into the bucket! Trust me it makes it a lot easier, when I use my Bucket cord in the cold weather its a little harder to wind in but well worth it. Then with your drill and hole saw, cut a single whole down next to the bottom of the bucket, (see figure 1). Fish about 4 inches of the cord out. Then start to wind the cord into the bucket, take your time and wind it all in in one direction, (see figure 2). This will make thing much easier when you use it later. Finally when you are done you will have a wonderful "Cord in a Bucket" that is so easy to use, rewind and store. My buckets have lids, so that I can stack them! Notice the plug for the outlet is still sticking out of the bottom of the bucket! When you need to use it. 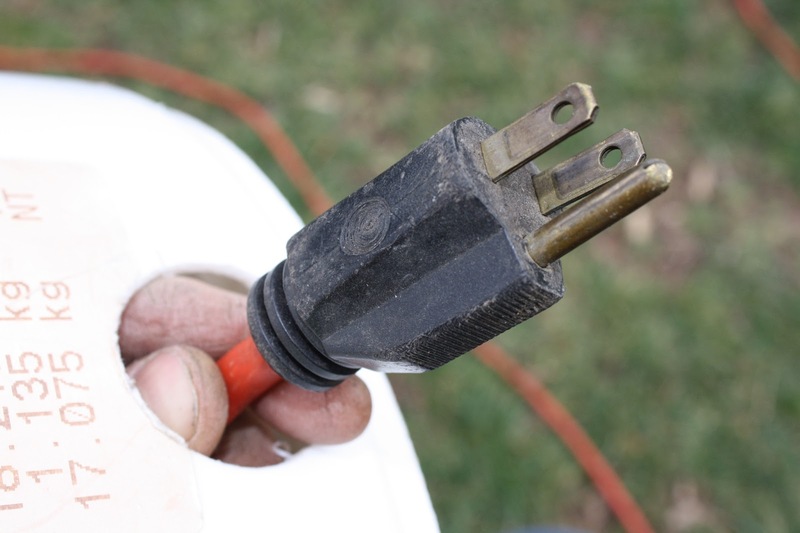 Just sit the bucket next to an outlet, plug the cord into the outlet and pull out however much cord you need to use, when you are done just rewind the cord back in the bucket and its ready for next time! So easy a Caveman could do it, lol! James 1 " My brethren, count it all joy when you fall into various trials, knowing that the testing of your faith produces patience. But let patience have its perfect work, that you may be perfect and complete, lacking nothing. ..."
I love the verse you included, very appropriate lol! I was hoping someone would catch the patience part, lol! I like this idea. It also, gives a broken bucket a new use. That is a genius idea! I need to show my dad this because he has about 50 extension cords and most of the time they are in a huge ball. I hope it works for him as well as it did me! Good Luck! What a great idea! Then my kids won't trip of the heap of extensions cords stored in the basement. 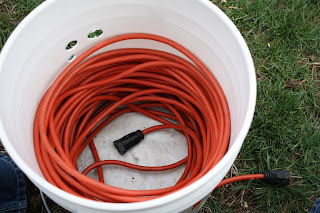 Smart idea which has led me to the brain storm of storing the water hose in a bucket, with lots of drainage holes of course. Love the idea of putting the cord in a bucket because it would be so easy to pick up and carry without tangling even more. Great idea! I hope you'll share this on The HomeAcre Hop today! I love this! I am always fighting with the hubs because he cannot figure out how to store extension cords and then when I need them its a mess. Brilliant! One less frustration when doing projects! Sensational idea!!! Thanks for sharing! He-Who-Mows rolled up an extra-long cord on one of my Hose Reels. I may put a hose in a bucket with a hole, lol. This is such an awesome idea! What a great way to store those cords. Thank you so much for sharing at A Bouquet of Talent this week. 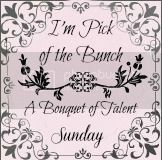 I am featuring you later tonight at Pick of the Bunch! Just wanted to say thanks to everyone. 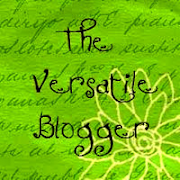 This is what make blogging so fun to be able to learn from one another! May Each of you have a Happy Resurrection Day! Thanks for linking in today...I hope you will again soon....Happy Easter friend! What a great idea...and so simple! This is exactly what we need, I just pinned it so we can try this! My husband was just telling me the other day how unruly the extension cords were in his wood shop so I can't wait to tell him about this great idea! I love Jesus, my beautiful wife, family and gardening. All of which I will talk of on this blog.I hope that you will be encouraged and find helpful ideas! "Get Started Gardening With The Right Seeds"
Quick Tip, Less Weeding and Save Water! Learning Table has a new home! Saying Goodbye.. but just moving to a new location.. see my previous post! Dance in the Rain: Learning to Say YES! Homemade Elderberry Syrup - and how to get your kids to take it! CrAZy WInTeR dAYs since May! March, April and May Ohhhhh MY! Happy ONE year my sweet Luke!! In the garden with Him! As women and mothers, we are the “gatekeepers” of the family. Photo's and content in this blog are not to be used for any reason without my prior consent. Some contents are my originals and others I have borrowed with consent. Thank you for your understanding.